Sekiro: Shadows Die Twice is often brutally difficult and frequently esoteric, like developer FromSoftware’s Dark Souls and Bloodborne, but compared to the studio’s other games, it has surprisingly friendly touches. Playing Sekiro: Shadows Die Twice at a recent Activision event in New York, I recognized many familiar elements from the “Soulsborne” games. There are tense, challenging hand-to-hand combat battles. There is a woman in a caretaker role, Emma the Physician, who behaves much like the Fire Keeper of Dark Souls 3 or the Doll of Bloodborne. She’ll upgrade your health-restoring gourd and tell you stories about this world and its inhabitants. There are places to rest — buddha statues, in Sekiro’s case — that allow fast-travel around the world. And there are often opaque gameplay concepts that are introduced with little explanation and will take time to fully grasp. There are surprises as well that seem aimed at newcomers to difficult action games. 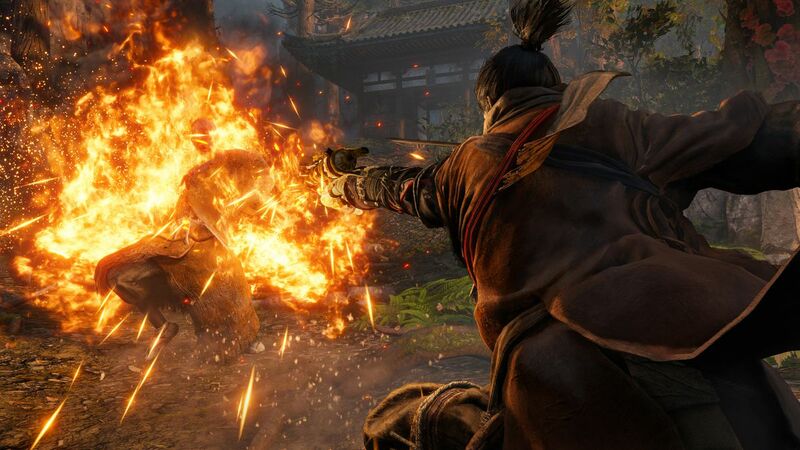 Sekiro is kind enough to offer a very clear — but optional and potentially missable — combat tutorial. A man named Immortal Hanbei awaited me outside the game’s starting area, a run-down temple. Infested with a condition he called “undying,” Hanbei challenged me to slay him, which I obliged by putting a sword through his neck. Much to his dismay, he did not die, but we struck up a friendship and he taught me the basics of Sekiro’s swordplay, dodges, and counterattacks. One of the friendliest additions is simply the ability to pause a game of Sekiro, something I couldn’t do in Dark Souls or Bloodborne due to their online connectivity. Early on, the game pauses occasionally to introduce new items or mechanics. It taught me how to use the protagonist’s grappling hook to quickly move around the world and even how to pick up items off the ground. While FromSoftware’s other games have relegated player instruction to some messages scrawled on the ground and a thrown-into-the-deep-end battle, Sekiro’s early moments feel targeted to a wider audience. But make no mistake: Sekiro is immensely challenging. Sword fights require intense concentration and fast reflexes. I dodged and deflected sword slashes, jumped over unblockable attacks — the game warned me with an angry red kanji each time that was about to happen — and whittled down enemies’ stamina until I could strike a killing blow. Those deathblows spray the screen with violent gushes of red, and each kill is satisfying. Some early combat situations are extremely easy. Unarmored soldiers take nothing but a few quick katana strikes to break their defenses. But there are soon big, challenging mini-bosses, like heavily armored samurai generals who are relentless and resilient. 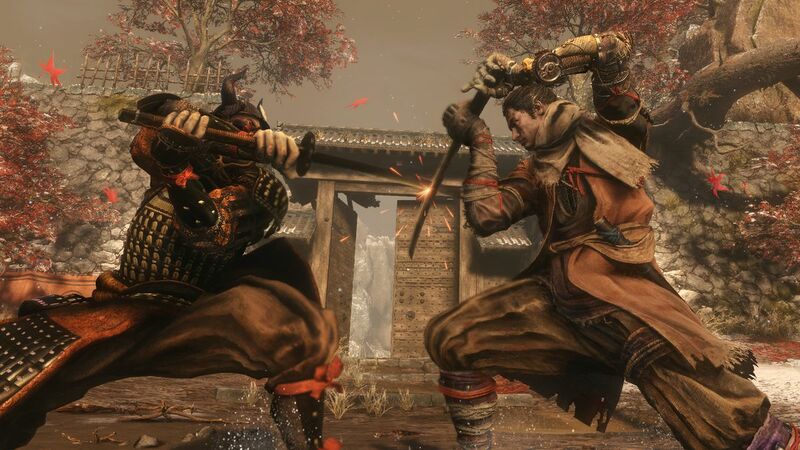 While fierce swordfights are at the heart of Sekiro’s action, they’re balanced by moments of stealth. Using the grappling hook, one of Sekiro’s “shinobi prosthetic” tools, I could quickly and gracefully leap to the tops of trees or the roof of a building and hide from enemies there. Or I could sneak across rooftops, carefully planning my attack on a lone soldier once his fellow guard walked away. I could camouflage Sekiro himself by skulking through shoulder-high grasses, or sneak under buildings to eavesdrop on guards’ conversations. Listening in on my enemies — there is a dedicated “eavesdrop” button prompt — offered valuable insight, like the location of a tool I needed or the weakness of a particular creature. At one point, I pricked up my ear to hear a peasant soldier tell his friend that the Chained Ogre, a rage-fueled giant I could see chained up at the top of a hill, hated fire. When I needed respite in a battle with that angry ogre later, I approached a nearby bonfire to draw him away from me. It was a welcome tip from FromSoftware, rarely known for being welcoming. In addition to a hearty katana and the grappling hook, used for killing and moving swiftly through the world, respectively, Sekiro also gave me an intriguing toolbox of skills and non-lethal combat options. The shinobi prosthetic can be upgraded early on to launch shuriken that are good for pestering enemies or knocking them out of the air. Later, the prosthetic can be upgraded with an ax to smash through wooden shields. Much later, it can shoot out fireworks that stun foes or spray a wave of flame to set enemies on fire. I saw other strategic combat options, including what FromSoftware calls combat skills that include a powerful downward katana strike, and ninjutsu powers, such as the ability to turn my enemies’ arterial sprays into clouds of bloody dust — effectively a gory smoke grenade I could summon in order to conceal myself. Death itself can be strategically used in combat. While it comes with a punishment — I would lose experience and money (sen) if I died — I could revive myself after being struck down. It’s incredibly helpful in some combat situations, as enemies take Sekiro’s “death” at face value. I could resurrect him and immediately stab an unsuspecting enemy in the back as they walked away. Over time, I found I could earn multiple resurrections. While some opportunities to reverse death can only be reset at buddha statues, others can be refilled by delivering deathblows to enemies. Death also comes with other implications. 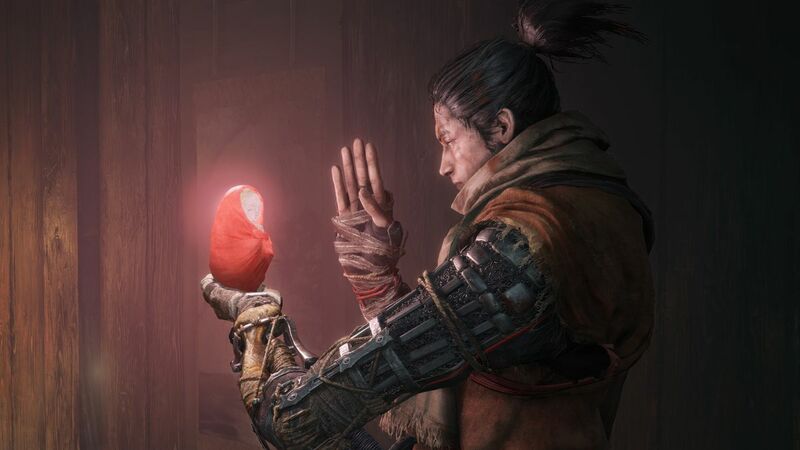 The magical blood that runs through Sekiro’s veins can cause problems for non-player characters around him, like the mysterious, grousing busshi known only as The Sculptor. An affliction called Dragonrot will spread the more Sekiro dies in the game, and early on, it infects The Sculptor. It’s unclear from my play time how to cure it, and as approachable as Sekiro: Shadows Die Twice may be, there are still obtuse elements to the game. Sekiro: Shadows Die Twice feels straightforward and streamlined in other ways. It has an easy-to-digest story of a hero seeking revenge and protecting his divine lord. There’s also a bit of a time-travel twist; at one point, I prayed to a buddha statue that sent Sekiro a few years to the past, where he seemed confused about his time and place in the world. The enemies I fought are not the gory beasts of Dark Souls and Bloodborne, but samurai, monks, mounted soldiers, yokai, and giants. But there are also unexpected things to contend with, like huge roosters that keep watch over buildings and a gargantuan, pure white serpent. And as is FromSoftware tradition, there are mysterious characters to talk to, who will offer cryptic hints about the world and its supernatural elements. You can see many of these elements and Sekiro: Shadows Die Twice’s high-speed action in the gameplay video above, which offers a 20-minute look at three areas of the game. Sekiro: Shadows Die Twice will be released on March 22 for PlayStation 4, Windows PC, and Xbox One.